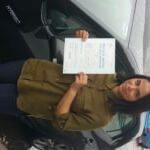 We offer quality driving lessons in Birmingham. Whether its your first time in the driving seat, or if you’re nearly ready to take your driving test. Here at Just Pass School of Motoring we have a driving program just for you. Just Pass School of Motoring offers quality one to one driving tuition to all our pupils. © Copyrights 2016 Just Pass. All rights reserved.